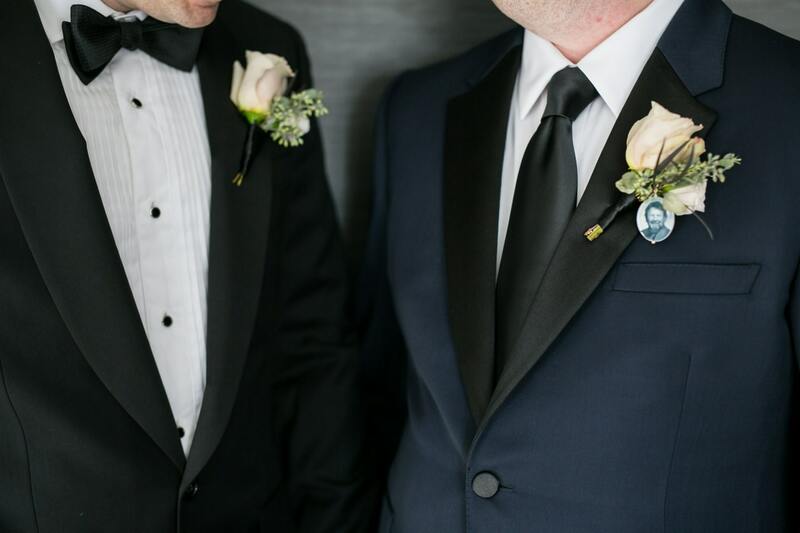 Such a beautiful groom's boutonniere memorial. This gold tone pin holds a two-sided, round photo charm with 14K Gold components and a 14K Gold bail that opens and clips closed, so that it can easily be taken off the pin. 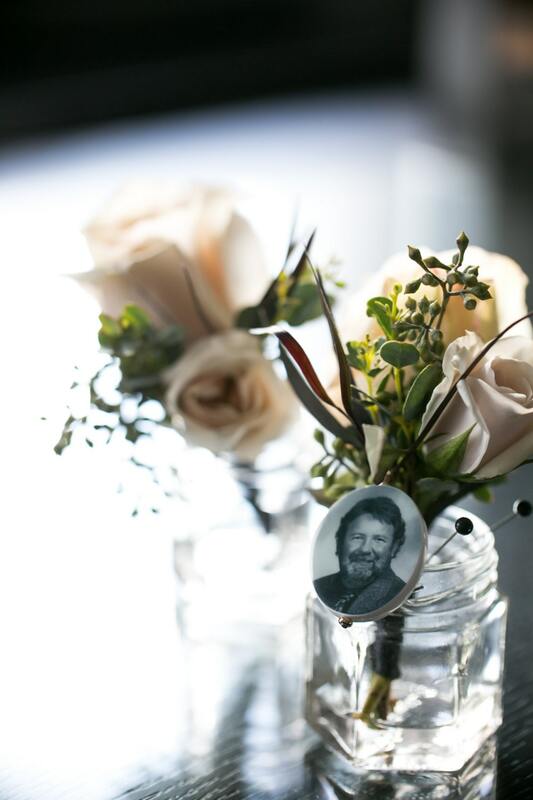 This custom, keepsake memorial photo charm is 1" from top to bottom. 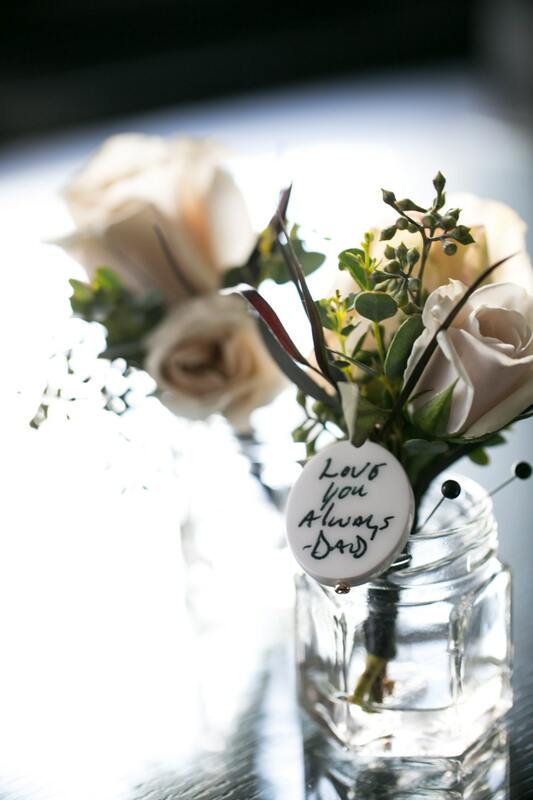 Use two photos, or make it even more sentimental with actual handwriting on one side (as shown above). If you can photograph it I will bake it into a photo tile for you. Each charm ordered dangles from a 3" gold tone stick pin that is easy to place in your flowers, or on your lapel. 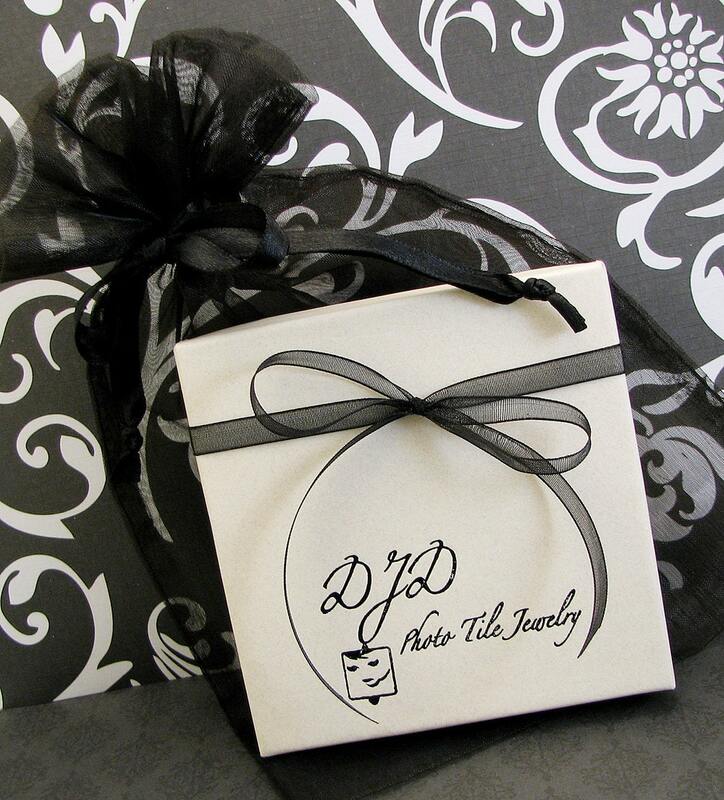 After your ceremony this charm can be added to a chain and worn as a pendant.